Acrylic is a man-made, solid surface (non-porous) product. It comes in either pure acrylic or modified acrylic forms. 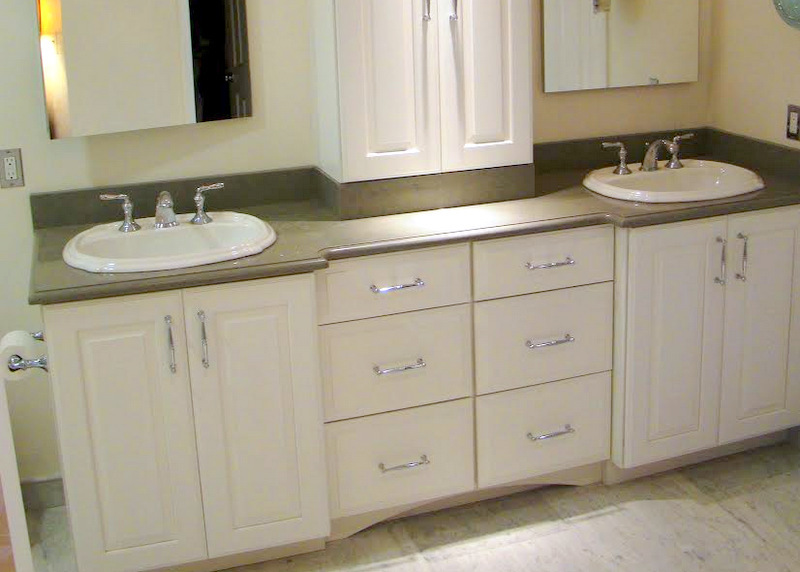 First introduced by Dupont in the 1970s, Corian® is a leading brand in this market. Pros: Easy to fabricate into custom shapes and sizes, repairable if cracked or chipped, colors options are virtually limitless (unlike stone which is limited to naturally occurring colors). Cons: Sensitivity to heat and may burn. It can scratch, but scratches can be polished out. Verdict: Relatively inexpensive, durable and versatile. Good choice for ultra-modern kitchen designs. 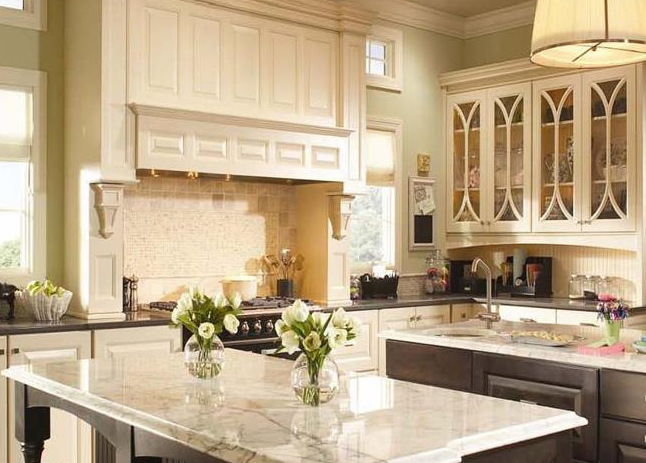 Quartz is an engineered stone made primarily from natural quartz and blended with resins. Pros: Completely maintenance free and impermeable to heat, stains, and scratching. Cons: Quartz is expensive (comparable to a tier 4 granite level) and it doesn’t have the natural veining and color variations that natural stones have. Verdict: Fairly expensive alternative for those who want the beauty of marble without the maintenance or veining. Granite is a natural stone. As such, no two slabs are completely alike. 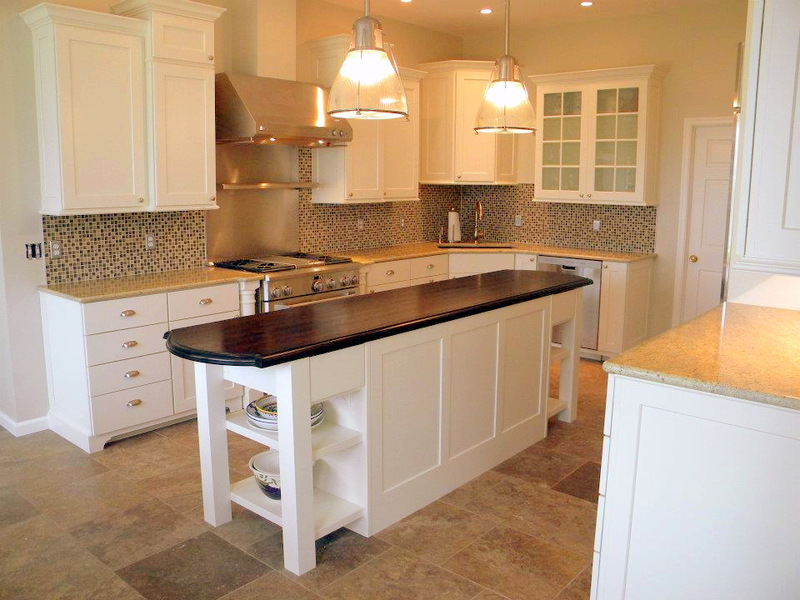 Granite is graded based on source, quality, and appearance ranging from tier 1 to tier 5. A tier 1 granite color is more readily available (and can be found at most distributors), whereas a tier 5 slab is the most rare and expensive, and will have huge variances in colors and veining. Granite can also come in either semi-exotic or exotic. Pros: Granite holds up to heat and does not scratch or stain. Occasional maintenance is required for sealing, but most modern sealants require little or no maintenance. 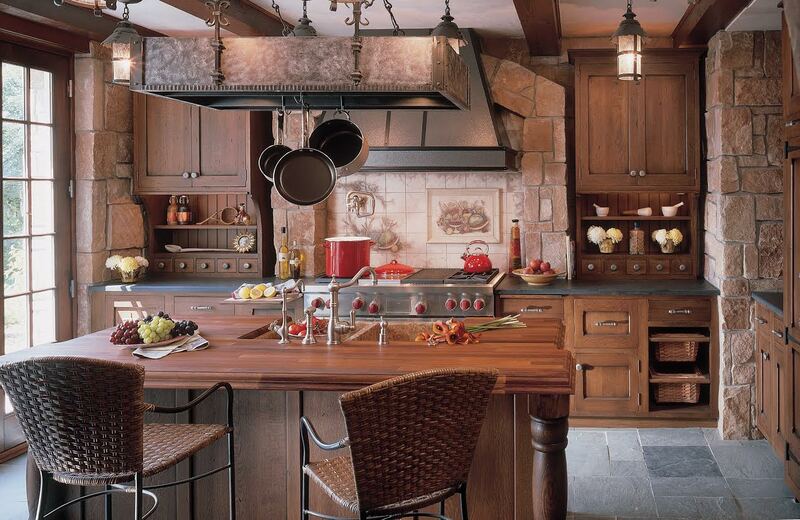 Cons: Granite is pricey and as a porous surface can harbor bacteria, if poorly sealed. Verdict: Expensive, as this is still the most sought-after countertop for its beauty and durability. Soapstone is one of the oldest and most dense stones. It was used primarily for utility sinks for its durability. In its natural state, soapstone is dull and ranges from very light gray to almost black with off white veining. When oiled, it appears dark green. Pros: Very dense; impervious to liquids and chemicals, one-of-a-kind beauty and veining similar to marble, virtually no maintenance required, and environmentally friendly as it requires no finishes (you can use mineral oil for a darker finish if desired). Scratches can be left as a natural patina. Soapstone ages well. Scratches can be repaired more easily than other types of natural stones if desired. Cons: Expensive, and color options are limited to those naturally occurring gray and green tones. Verdict: Although it is expensive, soapstone is a highly prized stone and is most common in classic, coastal, and cottage style kitchens. Valued for its rarity and its history as a prized stone for use in buildings and sculptures, there is no other stone that compares to the natural beauty and elegance of marble. Pros: A refined and distinctive look with creamy smooth texture and veining. Cons: Marble is very susceptible to stains so is not typically used in the entire kitchen. It will also scratch, chip. Verdict: Very expensive. Marble is top choice for pastry chefs because it remains cool to the touch, but care is required. 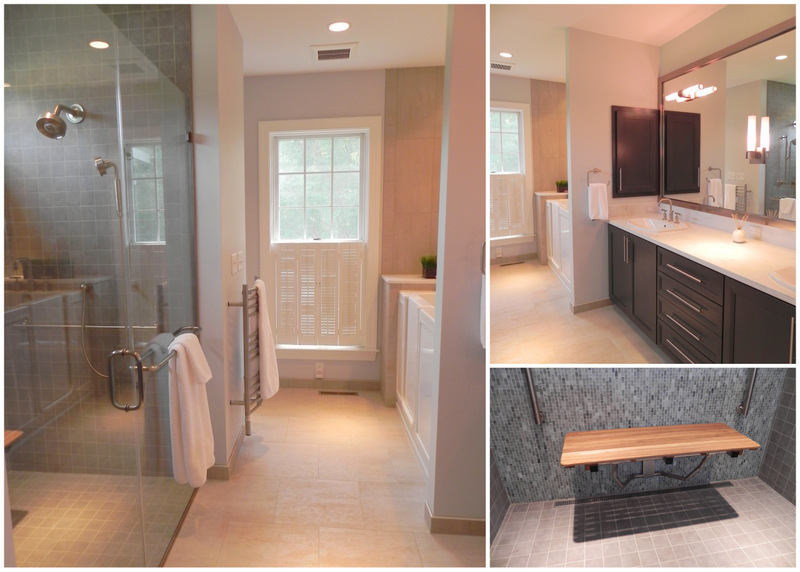 Recent clients came to 314 Design Studio wanting a full remodel of their 200 square foot master bath. Our in-house designers, Mike Kowalski and Erica Corcoran, said the homeowners had concerns about their future mobility, but did not want the final design to look too commercial. 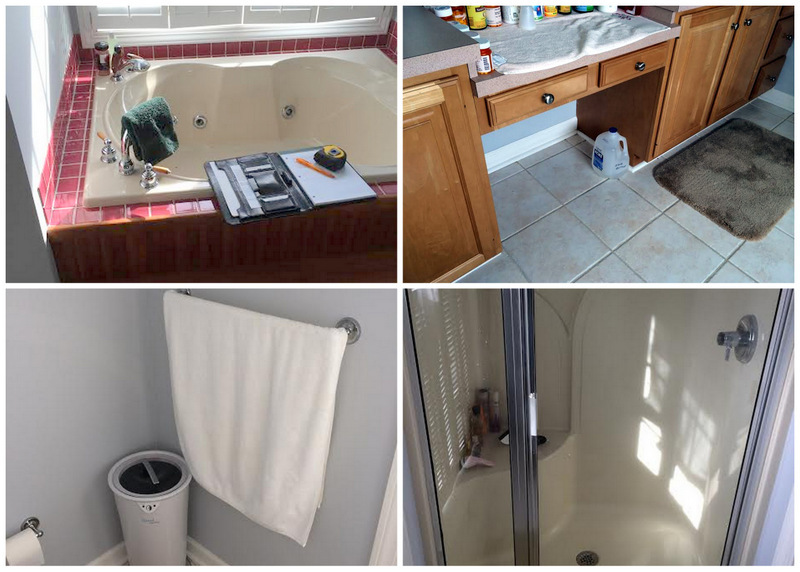 Erica and Mike’s design removed the wall that divided the bathroom. “This change not only made the room feel larger, but also created a safer and more accessible room for them,” Corcoran said. 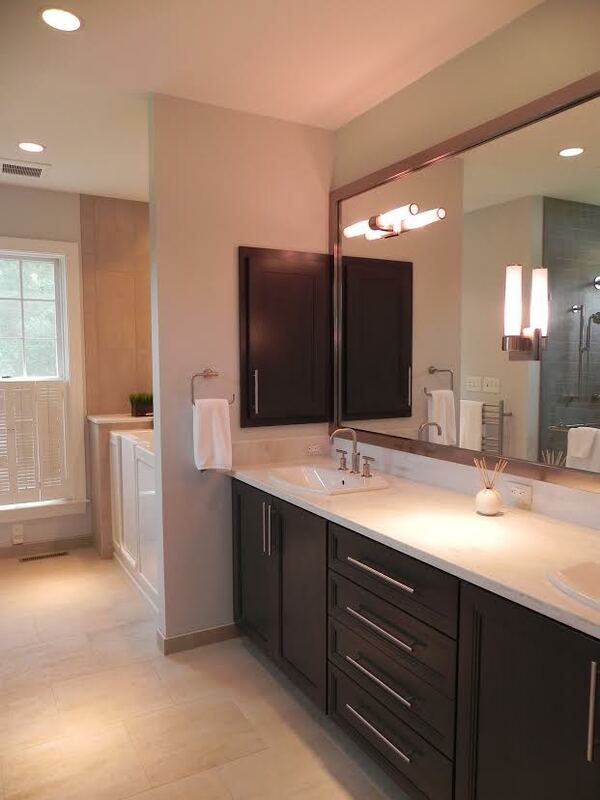 Stylish grab bars, sleek fixtures and modern colors give the room a much needed update and a feeling of relaxation. The final result combines both luxury and function. Master Bath Renovation includes: Floor with glass mosaic wall tile, Corian® countertops, top-mount Kohler “Cimarron” sink, cherry cabinetry with a gray stain, and Kohler “Purist” collection fixtures. Home spa amenities include a rain showerhead, towel warmer, and a frameless glass shower door. American Disabilities Act (ADA) and Aging in Place compliant features include a curbless shower and grab bar, a folding teak shower seat, a Jacuzzi® walk-in tub, and a unique toilet paper holder which doubles as a grab bar.